Connecticut Commentary: Red Notes from a Blue State: Who’s Minding the Store? · Because DMHAS had not properly monitored furlough days, more than 860 union employees may have been paid for days not worked. · The agency did not follow established procedures for capital projects, failing in one instance to secure from the Department of Construction Services approval for a $25,156 project. DMHAS also could not produce documentation to justify a $12,000 change order and in addition failed to obtain certificates of compliance for two separate projects that cost $72,000 and $95,000. · Having reviewed client funds at the Southwest Connecticut Mental Health Network in Bridgeport, a city plagued with rank incompetence, the auditors found that only one person was charged with disbursing the money, procedures were “sloppy,” and client accounts failed to match bank balances. · The department poorly monitored cell phone use among its employees. The state had supplied cellphones to 72 employees at Connecticut Valley Hospital. Because 18 employees failed to return any bills and 28 employees submitted late bills, the state of Connecticut – which has as its governor a crony capitalist who has vowed to make the state over and tosses tax money out the window to preferred and usually financially viable mega-companies – was unable to check if the state’s union employees were charging taxpayers for personal calls. A number of “Why” questions beg to be answered. Are any adults at home in ANY of the state agencies? A pro-active administration would know. 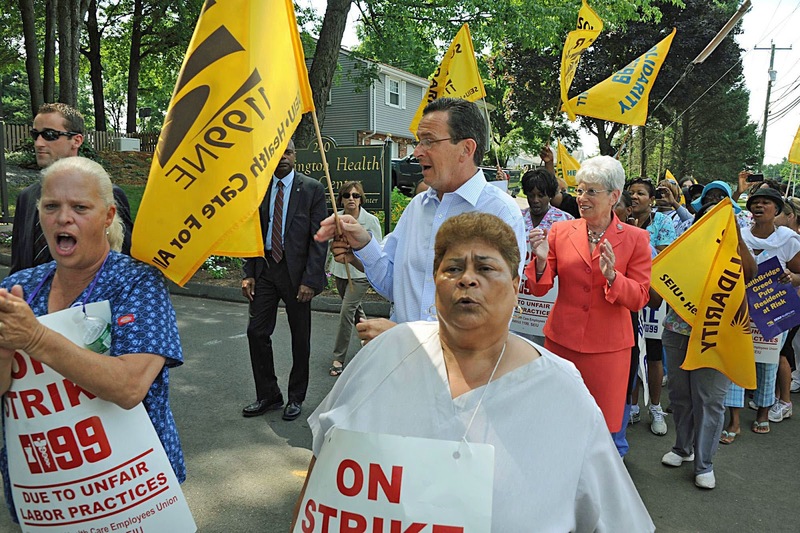 Would a similar audit of a different union run state agency produce results more consoling to Governor Dannel Malloy’s overtaxed constituents? Following the auditor’s report, how many heads will roll into how many baskets? Are adults minding the store in the governor’s office satisfied with the level of incompetence and actionable misbehavior indicated in the auditor’s report? What precisely are the fiduciary responsibilities of the executive and legislative branches of state government to citizens paying the bills for improperly monitored furlough days, or costly unapproved capital projects, or disbursals of tax money unmonitored by agency heads, or possible private, non-work related cell phone usage, or possible larcenous acts committed by – excuse my language – a #!! **$# “POLICE LIEUTENANT arrested on first-degree larceny charges for allegedly falsifying overtime records? Is there perchance anything in the auditor’s report that might excite the interest of Connecticut Attorney General George Jepsen, or the State’s Chief Attorney, or union leaders who, unlike Republican legislators, were given a place at the budget bargaining table by Mr. Malloy, the union friendly governor who expresses his solidarity with state workers by marching on picket lines along with Connecticut’s high-heeled Lieutenant Governor Nancy Wyman? Of course, it is always possible that the far traveled Mr. Malloy is too engaged in reinventing Connecticut to bother much about maintaining the integrity of state government. A governor who has his eyes fixed on the stars is not likely to take notice of the potholes beneath his feet. But the auditor’s report is just the sort of man-swallowing sinkhole that in happier days -- when taxpayers seemed unduly concerned how their dollars were spent -- used to wreck the administrations of other utopian star-gazers. In the new political dispensation – in which market decisions are made by governors rather than markets, in which the premier Democratic Party in the state has little to fear from a third tier Republican Party, unaffiliated voters and an anesthetized media – perhaps an audit such as this one is nothing to agonize over. In a one party state, it is an easy matter to deep six persistent problems, even when vigilant auditors are prowling the precincts. You may not be able to fool all the people all the time. But if you can fool most of the people most of the time, you’re good.